The word ‘Psychology’ is derived from a Greek word ‘Psyche’ i.e. awareness/consciousness. It directly reflects the inner side of a person & his/her essence (soul). A character is derived with which a man is attributed in nature. It is basically a behavioral & mental science. → Overt actions – observable actions like walking, running ,touching etc. → Social relationship – like social interaction. → Emotional Reaction – feelings of anger , laziness , happiness and depression etc. → Physiological Reactions – like heartbeat, biological reactions, fondness etc. 1. Developmental Psychology mainly focuses upon the human being and the process of his growth & development from birth until he dies. It certainly explains behavioral changes due to age factors. 2. Educational Psychology is research-oriented. The center of attention on how people gain knowledge of educator or a supervision counselor may be appropriate for the findings of psychologists in schools, universities and other educational institutions. 3. Forensic Psychology is the branch of psychology that interacts with the law & facilitates law enforcement organizations during crime investigation. It is generally a nature related science and includes some experimental methods. 4. Geriatric Psychology pays attention to the physical condition and the health of older people .This field of human actions takes account of both matter-of-fact and do research application. 5. Health Psychology is a stem of human behavior that is alarmed with the psychological insinuation of actions on health like smoking, losing weight etc. Physical health directly affects our mental health and thus therapists sincerely pay attention to this process . 6. Organizational Psychology pays attention on your dealings towards work. This learning of human behavior takes in job efficiency, vocational counseling, retirement plans etc. 7. Physiological Psychology is concerned with the hereditary and physical roots of psychological disorders, such as how our brains behave differently after drug use or how cells build up and function. 8. Experimental psychologists have expanded the views to a wider extent and have given the thought that experimentation is suspect in nature. 9. Social Psychology looks at how we exist in this world .It examines cultural behavior, group behavior and our approach and view, as elements of social psychology. The study of physiology plays a significant role in the psychological development which is considered as a different science. 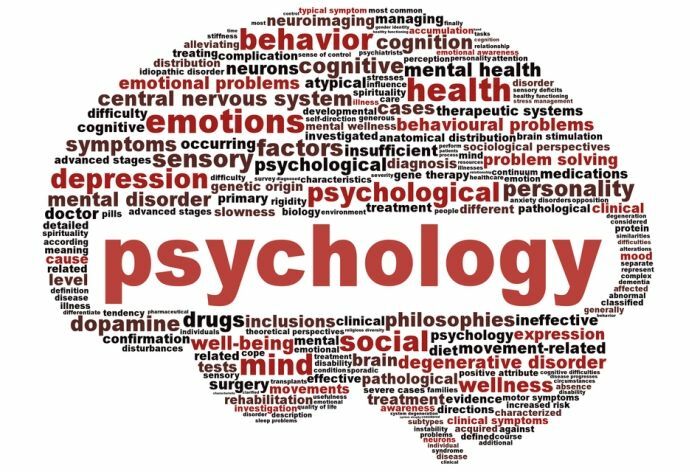 Now-a-days, this perspective is called biological psychology or sometimes referred to as bio-psychology & it focuses mainly upon the physical and biological aspects of a person’s behavior. → Behavioral psychology mainly focuses upon the learned behaviors. → Behavioral principles are often applied in health settings (mental), where the therapists and counselors use these techniques to explain and treat illnesses. In 1960s, a new perspective known as cognitive psychology emerged. It generally focuses on the mental processes. This area is concerned with memory, thinking, problem solving, language and decision-making. Fairly new perspective that has reached its maturation stage. Here, psychologists and researchers look at human behavior across various cultures. It focuses on the study of how evolution explains the physiological processes. Basic principles of evolution along with the natural selection are analysed by the psychologists and researchers which are further applied upon the psychological phenomena. It states the existence of these mental processes due to their character that serve an evolutionary purpose i.e. they aid in reproduction and survival. During the 1950s, a school of thought known as humanistic psychology emerged, which emphasizes the role of motivation on thought and behavior. Self-actualization and few others are an essential part of this. It basically originated with Sigmund Freud’s work which emphasized the role of the unconscious mind, early childhood experiences, and interpersonal relationships in explaining human behavior.